Frederick Ufkes is a trial attorney with more than 35 years of experience in complex litigation, medical devices, prescription pharmaceuticals, OTC products, environmental, toxic torts, mass torts, products liability defense, and construction litigation. He has national and regional counsel experience in both products liability and mass torts, and has defended companies engaged in manufacturing a broad spectrum of products, including chemicals, chemical solvents, asbestos, pharmaceuticals, medical devices, electronics, computer software and hardware, heavy machinery, construction equipment and consumer products. Mr. Ufkes' experience in the building industry before becoming a lawyer has provided him with necessary real world experience, assisting him in his representation of design professionals, owners, developers, and contractors in construction related disputes. He has also defended businesses nationwide in connection with other business and commercial matters, as well as employment disputes. In addition, Mr. Ufkes has handled a substantial number of matters involving compliance and litigation surrounding California's Proposition 65, the Safe Drinking Water and Toxic Enforcement Act. He has counseled manufacturers and distributors of both consumer and industrial products at the pre-marketing phase for compliance on a "go forward" basis. He has also defended consumer class actions and state regulatory cases alleging violation of the Act, seeking injunctive relief and civil penalties in the hundreds of millions of dollars. He has litigated matters under the federal CERCLA, RCRA, Clean Air Act and Clean Water Act statutes for property owners and lessees as well as manufacturing enterprises engaged in plastics manufacturing. 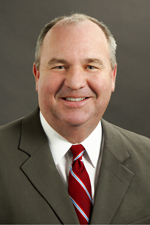 Mr. Ufkes joined Hinshaw & Culbertson LLP in January 2009. Previously he was a partner in the Los Angeles office of K&L Gates LLP. Mr. Ufkes has been lead trial counsel for a number of Fortune 500 companies. Many of these cases were brought by plaintiffs claiming exposure to industrial solvents, degreasers, paints, adhesives and epoxies. He has also been trial counsel in asbestos litigation throughout California. Mr. Ufkes has successfully defended medical device manufacturers against claims for defective implants, artificial joints and surgical instruments. He has tried cases involving a broad spectrum of consumer products, and litigated cases involving issues affecting products liability, including market share liability, limitations on punitive damages, causation standards under federal and state law, and federal preemption. Mr. Ufkes successfully defended the world's largest manufacturer of surfboard blanks against claims by employees for cancer allegedly caused by exposure to chemicals used in the manufacturing process. He is one of the few trial attorneys in the country who has successfully defended through trial a products liability case where the plaintiff claimed that his leukemia was caused by benzene exposure. Mr. Ufkes successfully defended a medical products manufacturer against claims by 65 plaintiffs for personal injuries by arguing the company was not the alter ego or successor in interest to the actual manufacturer of the devices. Mr. Ufkes was actively involved in the national coordination of DES cases for a pharmaceutical company, and for all products liability claims affecting a manufacturer of medical devices such as surgical instruments. "Supreme Court clarifies role of trial judge in determining admissibility of expert testimony"